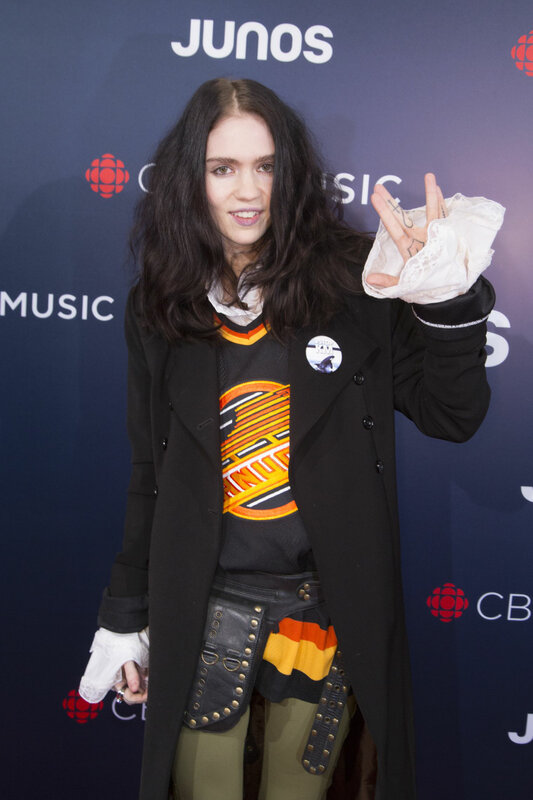 Grimes made a rare public appearance at last night's Juno Awards, joining Canadian folk artist and activist Buffy Sainte-Marie to speak on female representation in the music industry. The two also walked the red carpet together, and introduced a performance from Lights. Watch some clips from the event below. Sadly, she didn't stay long enough to accept her award for Video of the Year, which she won for her Janelle Monaé collaboration "Venus Fly." "I’m feeling really stupid for not being at the award show now (i’m rly sick and i didn’t think i would win)," Grimes tweeted.